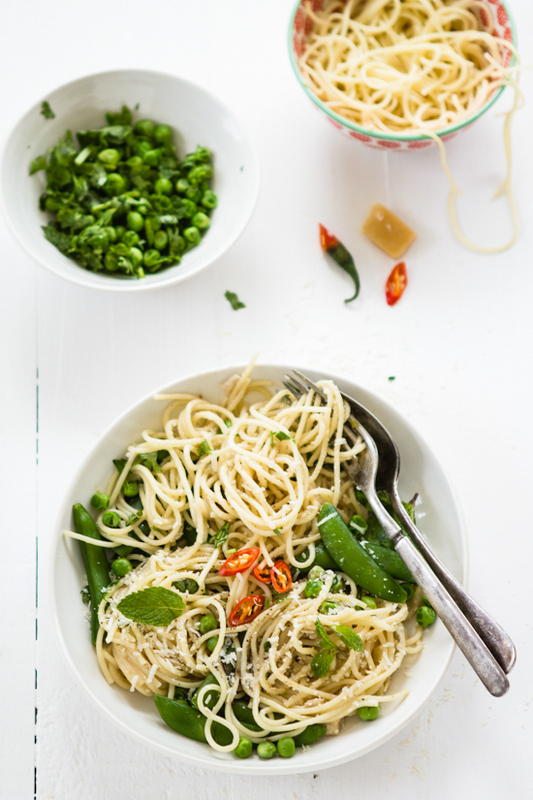 I've been meaning to tell you about this creamy pea, mint and cilantro spaghetti with chili for a while now. Over a month to be exact. But I was so excited about my holiday and then these juicy grilled chops that I completely forgot. So let's rewind a month or so. It all began with a slight cough one morning, an extra yawn on the drive to school. I didn't think much of it. It was the last day of the week and we were all tired. But then I got that dreaded phone call from the nursery. My heart always skips a beat when I get a call from there. I just knew something was wrong. 'Maryam has a fever of 38.5, can we give her Calpol?' asked her nursery nurse. On my way to pick her up, I thought back to the morning and that tired faraway look in her eyes. Things went from bad to worse as her fever peaked to nearly 41. Akber took her to emergency at 4 am. It was a rough night. We all lay in on Friday including Hassan. He probably knew I just didn't have the energy after being awake round the clock the night before. For once though, I woke before Maryam did. Usually, she tip toes into my room and wakes me up with the biggest smile but the fever had hit her hard. As she rested, I took the opportunity to make one of her favorite meals. Isn't that what Moms do when their loved ones are ill? Pasta has always been a household favorite of everyone's including her. We have a myriad different ways we eat them as I've mentioned before. I decided to add a few other ingredients she loves such as peas and parmesan cheese. I knew it would be polished off in no time. Bar the mint that is, which she detests. Or 'seaweed' as she calls it. However, I did add that and chopped red chili for extra flavor on our plates. It was quite a sight to see the 'process' of her dissecting this meal. She first searched for the hidden shelled peas in the spaghetti and cream maze. Pop into her mouth, one by one. 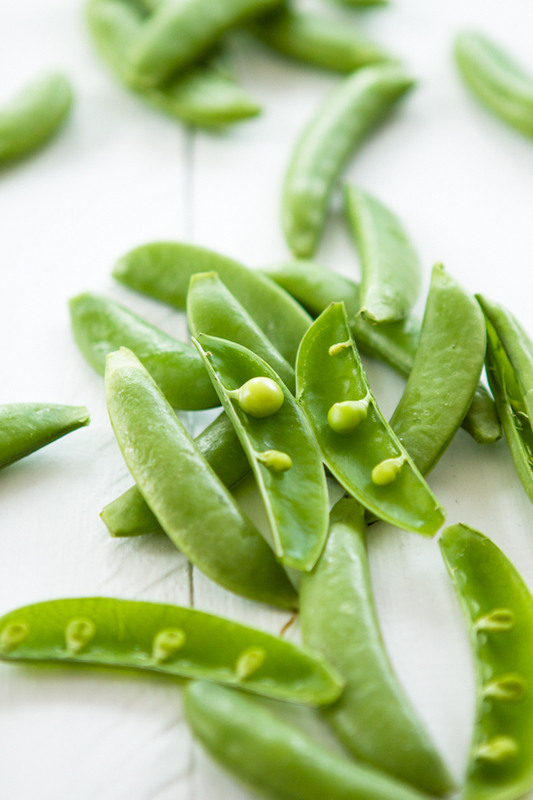 Then came the snap peas followed by its sturdier cousin, the sugar snap variety. Like a game. Meals are always more fun that way right. Boil spaghetti according to instructions till al dente and drain. 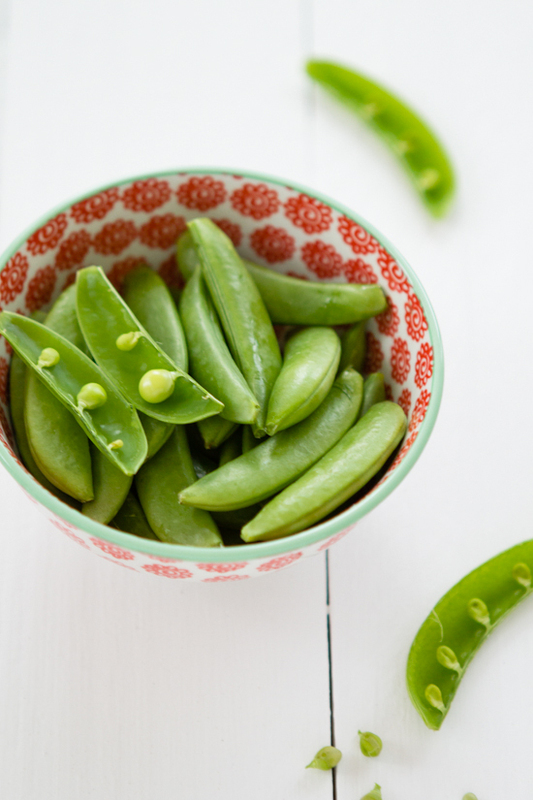 In salted boiling water, blanch the peas for 2 minutes. Drain and wash with cold waater to stop the cooking process. In a pan, heat olive oil and add the onion and garlic and saute till onions are translucent. Add the cream, red pepper flakes and season with salt and pepper. Bring to a simmer and add the parmesan. 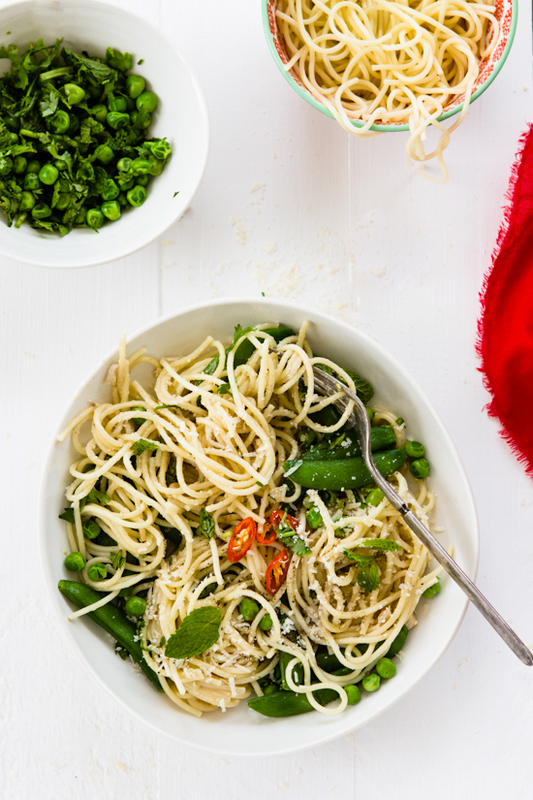 Stir in the cooked spaghetti, blanched peas and chopped herbs. If the sauce appears thick, you can thin it down with water. Garnish with extra parmesan and chopped chili. 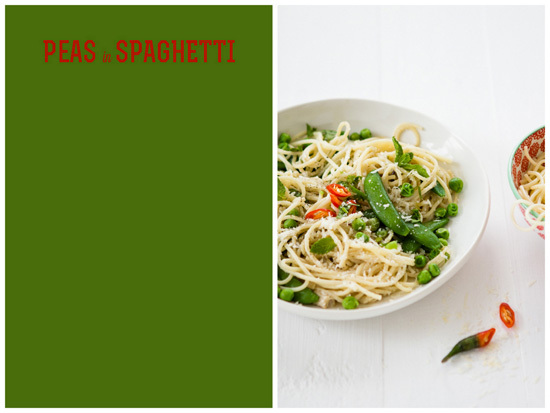 A deliciously seasonal pasta dish! Really mouthwatering. Looks so good... I love all the pictures. Its a treat to the eyes. Beautiful, beautiful, beautiful photos. Can't get enough of them! Aw, I'm chuckling at how she calls mint 'seaweed!' So adorable. I am sure this gorgeous pasta helped her feel better much faster. I made something similar the other day. I love pasta! Your photos look stunning as always! 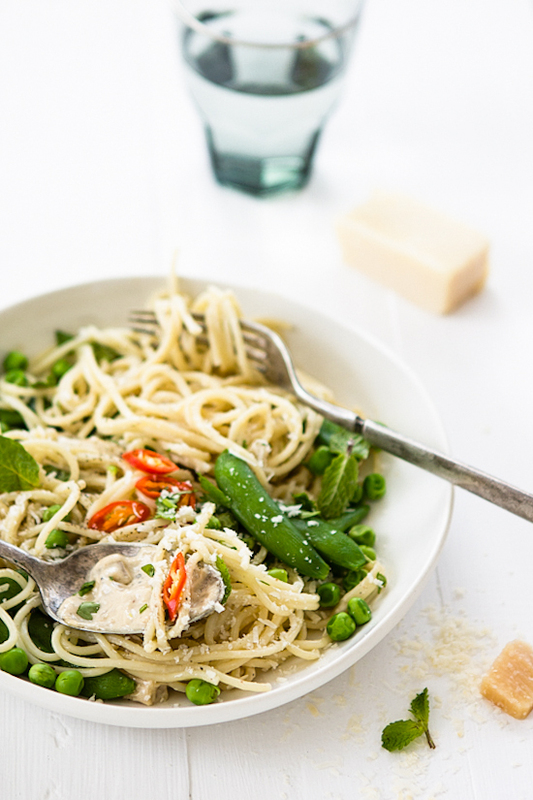 This pasta sounds amazing + your photos are beautiful! 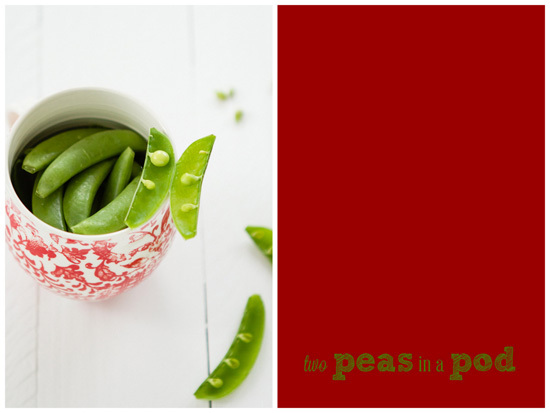 Peas and mint and chilis are a match made in heaven! And to add them into a creamy pasta is magical. I have made pea pesto with mint and chili - this is kind of a deconstructed version of that - definitely going to try it this way. Such a beautiful seasonal dish! I love the combination and your photographs are just stunning! This is such a lovely recipe and photos are gorgeous! 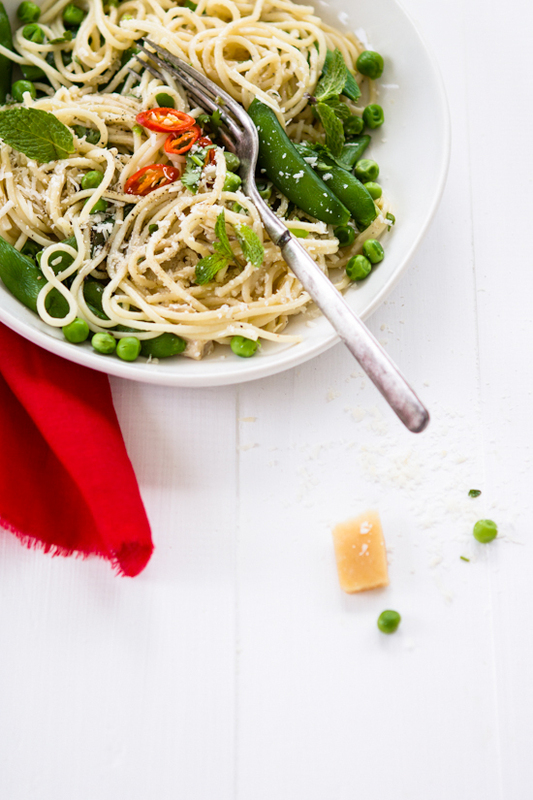 Pea, mint and pasta are such a great combination. Hope Maryam is feeling better now!! Beautiful post, lovely photography, delicious sounding recipe! Wow! Looks delicious and congratulations on making the foodbuzz Top 9! nothing is more worrying than children falling sick. Life just goes for a toss. I love the combination of peas & mint...nothing like this! And this must be wonderful with the addition of cilantro, red chili and of course the cream ;-) Would love to try it out. Your photos are stunning too! I'm so sorry your little one was ill. This pasta dish would certainly make me feel better, what lovely flavors! 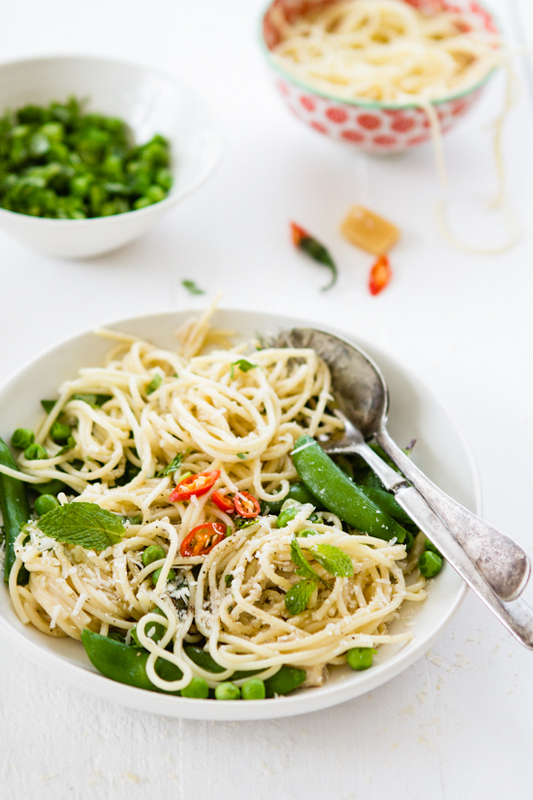 This is really a refreshing pasta recipe with all those peas & mint. Maryam is adorable..I can so imagine her face at the sight of mint ..cute! how cute is she to call mint seaweed? 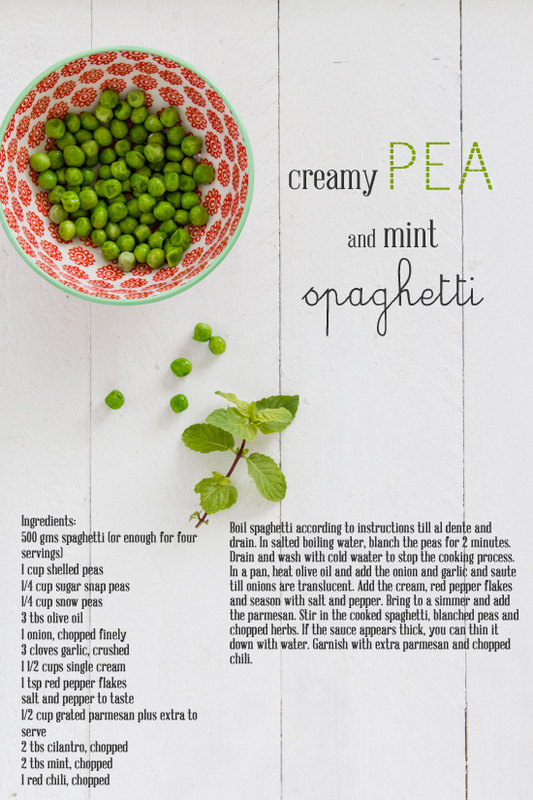 :) I love peas with mint but all those beautiful fresh green in pasta would be something extraordinary! I just made a pasta dish that also called for a handful of mint to be thrown in. I thought it was really delicious. I have searched for fresh peas her in Texas and I missed them. At the farmer's market, they said I needed to get them way back in April! Sheesh! What a gorgeous seasonal dish! We love spaghetti in our house so I'm going to have to give this a try. Now that's a very different spaghetti I want to try! Phew! Your images are as delicious as your recipe. Plus, the entire airy feel of your blog... 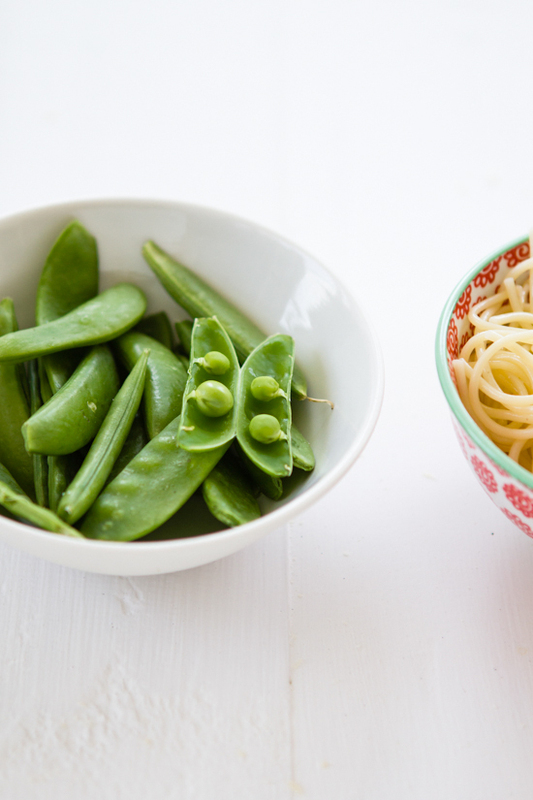 The whole peas in pods in the spaghetti - have to try for sure. Gorgeous and absolutely tempting! I don't apperceive what it is about the bendable blow and matte finish, but I accept a anemic atom for printed suede Christisn Louboutin Outlet. One of the best brands to cull this off is YSL Wallet Outlet. I accept to acquaint you about a backpack attraction of mine. I am in fact mad at myself that I did not splurge on the Ralph Lauren Polo Outlet Croc Muse Two which has two colors that I admire with a sueced croc pattern. To see a formed suede accomplishment off a Red Bottoms Outlet that I already adore, my affection melts. Replica Watches are additionally pretty reflective of their user's persona. Amazing furthermore multi-colored Replica Watches are commonly worn because of the younger. Conversely, exquisite dress Swiss Rolex Replica are regularly sported by highly developed gentlemen. And then usually there's the luxurious Swiss Replica Watches worn by the individuals who're properly to complete. Check out observing your mates furthermore you can before long see how the layouts are actually ranging. Siempre habrá una razón por la cual podrán comprar Bolsas Michael Kors Precios de los minoristas en línea. Los compradores de hoy que estén interesados en comprar Michael Kors Rebajas podrán descubrir cómo pueden obtener los mejores resultados que siempre quisieron simplemente haciendo ruido con lo mejor de Bolsos Michael Kors Outlet que ofrecen más allá de precios asequibles. Dessutom med så många alternativ att välja mellan, har det blivit praktiskt taget omöjligt för köpare att ta reda på hur de kan köpa Designer Michael Kors Väska Rea online utan att behöva investera för mycket pengar eller tid i scouting den lokala marknaden som annars skulle tyckas omöjligt att göra först . En riktig äkta Michael Kors Rea skulle kunna ge dig tillbaka tusentals dollar och det är något som de flesta inte har råd med. Du kan faktiskt köpa Michael Kors Plånbok online. Maintenant, la question se pose de savoir si vous pouvez réellement trouver en ligne authentique Longchamp Soldes bon marché qui sont vraiment authentiques et la réponse est oui, vous pouvez! Un des sites les mieux notés et les plus populaires pour localiser le Sac A Main Longchamp en ligne parfait pour votre collection personnelle est eBay. Rappelez-vous, juste parce que vous êtes en mesure de magasiner en ligne Sac À Main Longchamp sur eBay à des prix incroyablement bas ne signifie pas qu'ils sont faux ou de qualité bon marché.